Sometimes just looking at a meal plan just won’t cut it. You want to know exactly what should/should not be in your kitchen and you want to see examples. 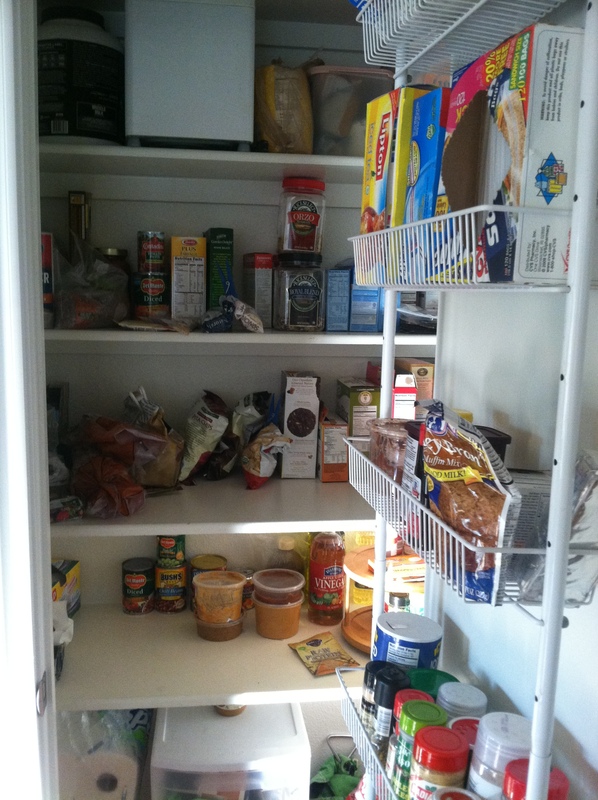 So, to continue on the inventory I have been taking of my foods, I bring you: my pantry! So for all of those who ask me if they need to cut out carbs to eat clean, you can probably see my answer! Just be sure to go for complex carbs, like whole grains, not overly processed foods or simple sugars. Happy eating! By popular demand, here is the first of several “inventory” articles that I will post. Keep in mind that this is a snapshot of what is in my fridge/freezer/pantry/fruit bowl at one given moment. This does not mean these foods are all that I eat, it is just to give you an example of what is regularly stocked! So this first post will focus on the refrigerator. 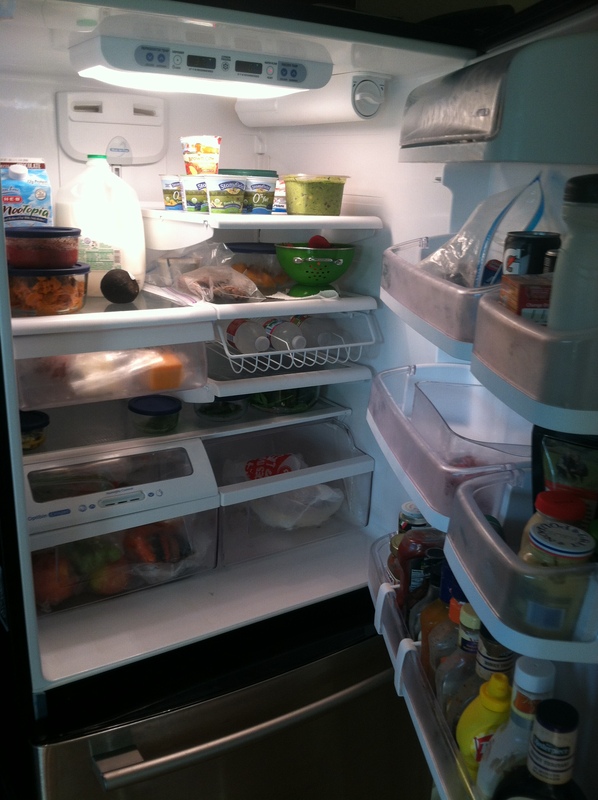 Keep in mind that you can also view my meal plan in addition to checking out these inventories! Tune in next week for Part 2: The Freezer!